Leave a message for Alice using the form fields below. If you have any questions, please contact us at (212) 269-7800. For general inquiries, email compliance@ingalls.net. Nils Mellquist is a portfolio manager and analyst with over two decades of investment experience in public and private equities, in domestic and international markets. Nils originates investment ideas for an Ingalls-advised private investment fund led by Tom Boucher and Bob Gipson, and manages client portfolios with a value and opportunity style. Prior to joining Ingalls in 2017, Nils was a Global Sector Head at Deutsche Bank Asset Management, where he co-managed the highly rated Deutsche Large Cap Value Fund. 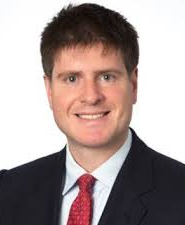 Nils has also worked in investment advisory positions at AllianceBernstein and Smith Barney. Nils received his B.A. from Oberlin College and has taken advanced financial courses at New York University. He resides in New York City with his family, and his outside interests include cycling and martial arts.